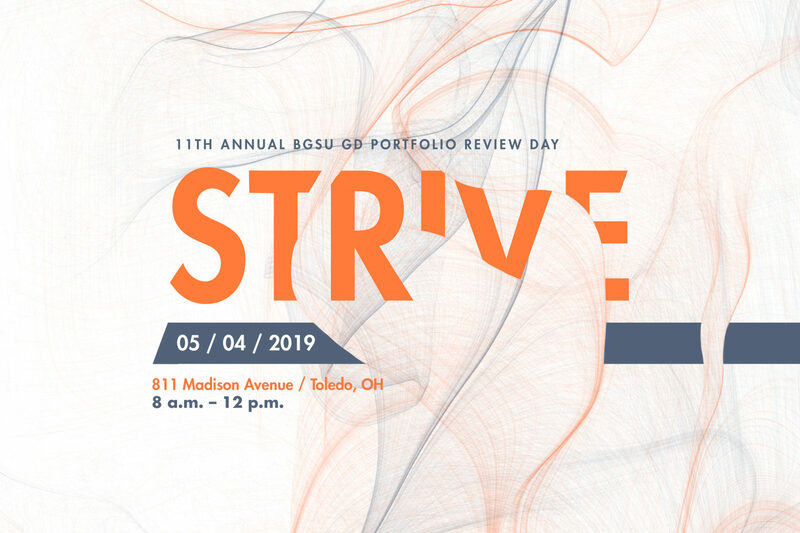 The BGSU Division of Graphic Design, AIGA Toledo, and the AIGA BGSU Student Group are proud to present our 11th Annual Portfolio Review Day on Saturday, May 4, 2019 at Hart in Downtown Toledo. Modeled after our previous Portfolio Review Days, but also ever evolving, we have once again planned an exciting event! We are seeking approximately 25 design professionals to act as portfolio reviewers. For some of you, we are asking for your time once again, for others, perhaps it’s your first time. Either way, if you have the professional design experience, and you’re willing to give us your Saturday morning, you’ll have the unending gratitude of our student participants. Please sign up using this form. Registration is open! Sign up here. Please direct any inquires to event organizer, Jenn Stucker (jstuck@bgsu.edu). Thank you for your willingness to mentor and serve the profession. To our guests with disabilities, please indicate if you need special services, assistance or appropriate modifications to fully participate in this event by contacting Jenn Stucker, jstuck@bgsu.edu. Please notify us prior to the event.